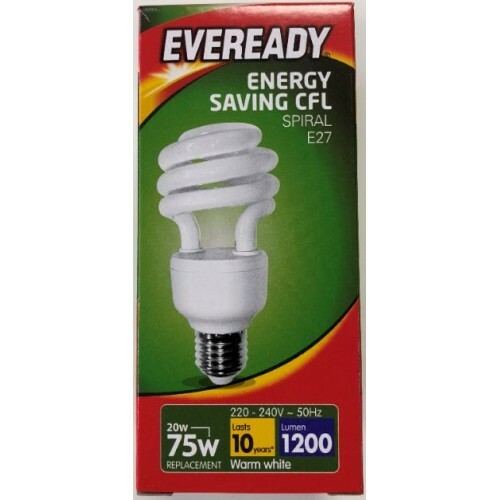 This is a 20w (75w) Edison Screw / E27 Quick start energy saving spiral shaped light bulb made by Eveready, it is top quality and offers cool white light (a white light with a hint of yellow) with an average 10,000 hour life. 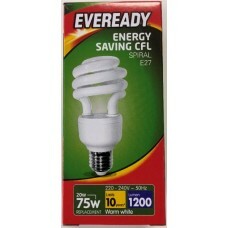 These low energy bulbs also start up quicker than standard energy savers and last 10 times longer than a standard bulb. NB: These 20W Edison Screw Warm White (Yellowish Light) quick start low energy saving light bulbs are not suitable for dimming switches or for use in recessed or enclosed fittings. Please also check that you fitting can take a 75W light bulb or higher. 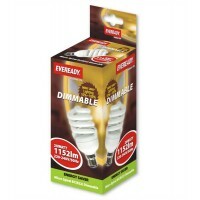 If in doubt please contact us as we can advise what are the best light bulbs / lamps for your fitting. 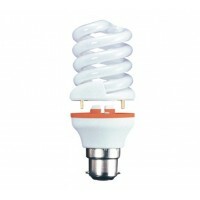 This unique 20w (100 watts plus) warm white B22 2 part lamp design minimises waste as the electonic ..
20W (100W Equiv) Dimmable CFL with a Bayonet Cap These dimmable Soft Lite Eveready 20w (100w Equ..